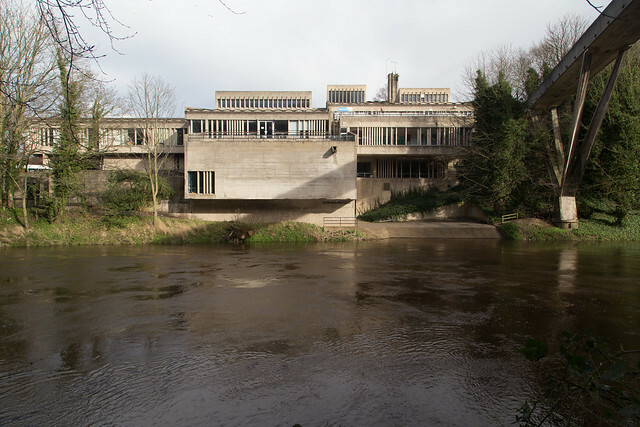 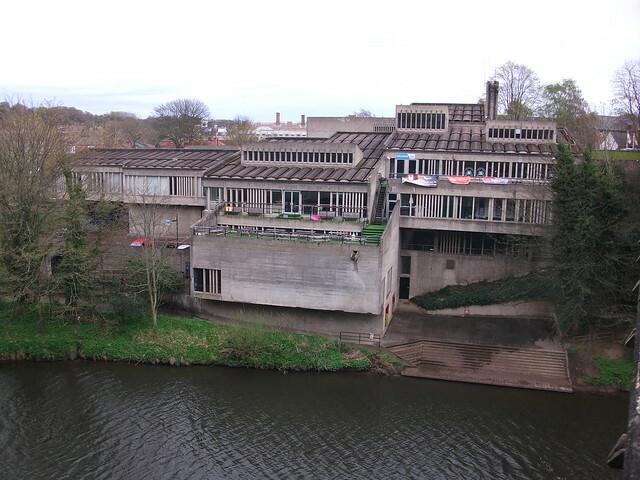 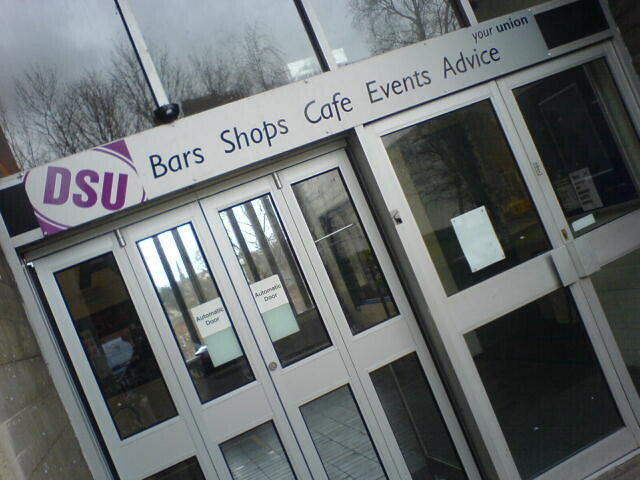 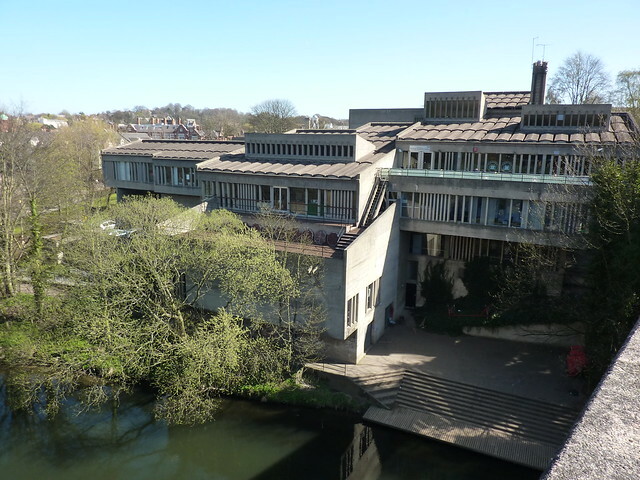 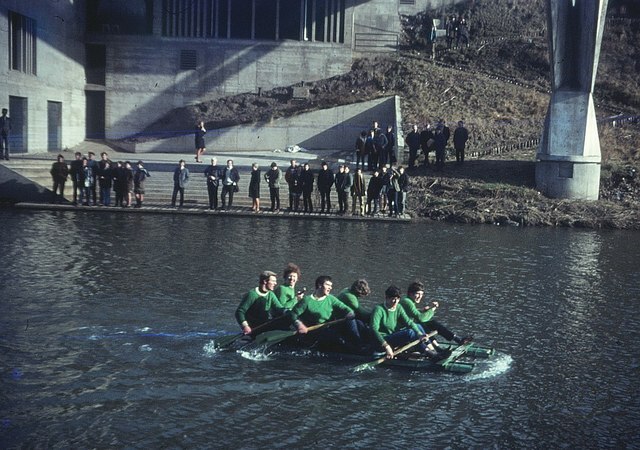 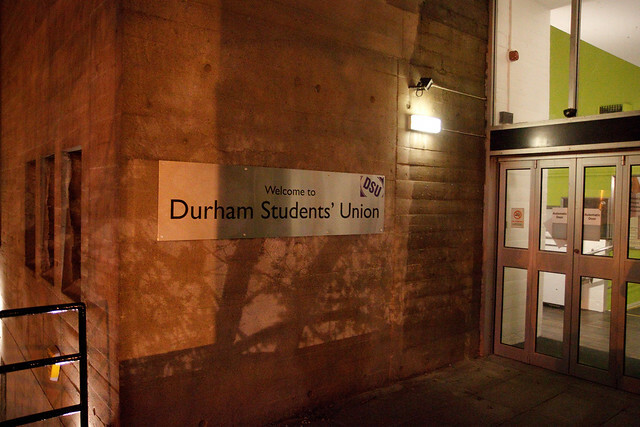 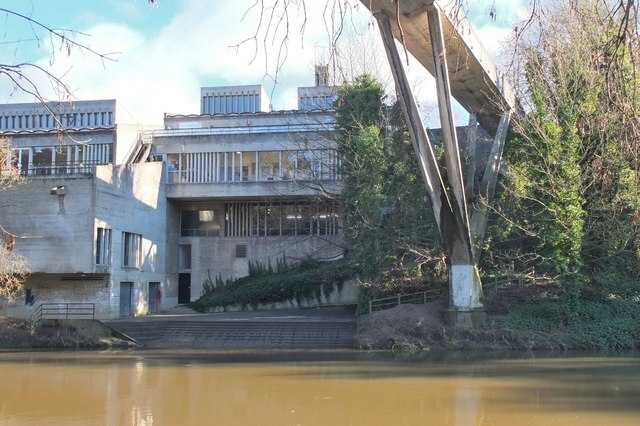 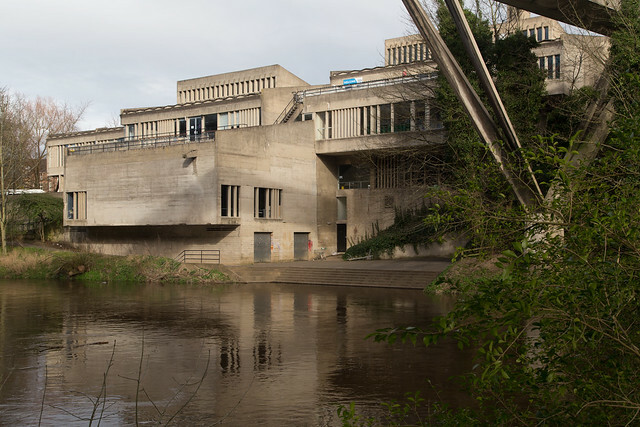 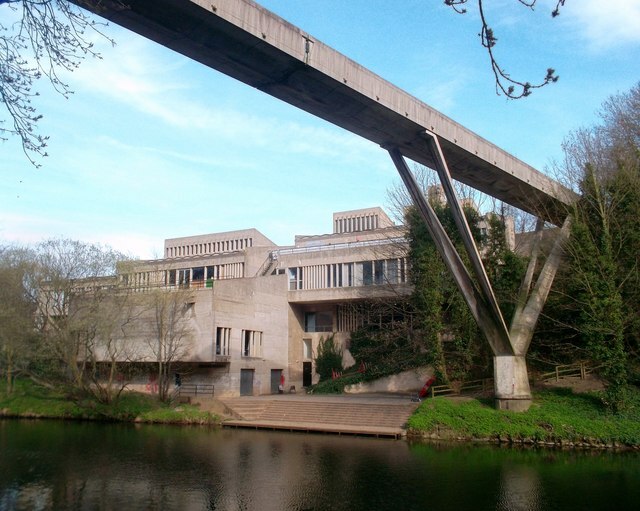 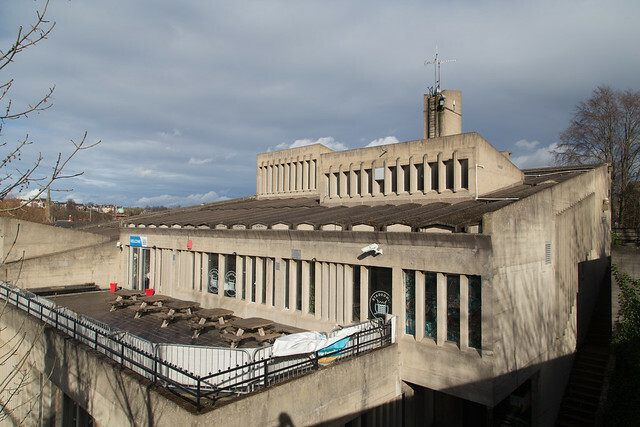 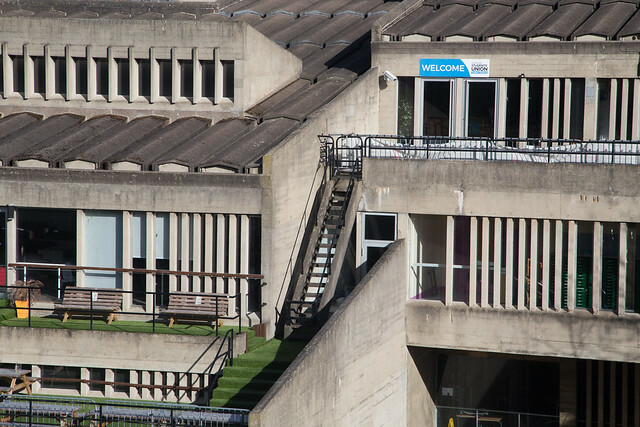 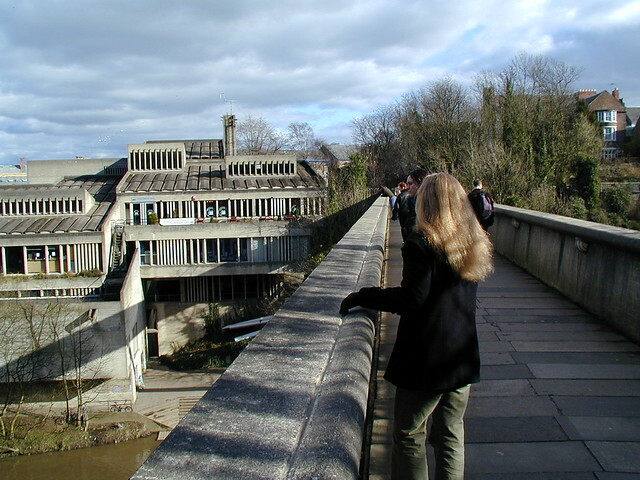 The Students' Union building at Durham University adjacent to Kingsgate Footbridge over the River Wear. 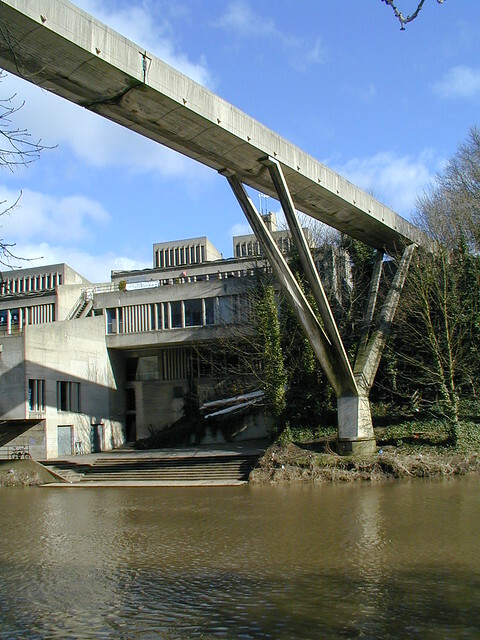 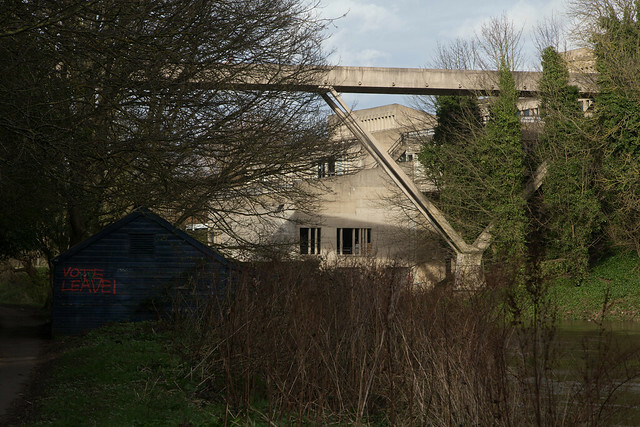 Designed by Ove Arup, the angular concrete 'Brutalist' style building is built into the steeply sloping river bank. 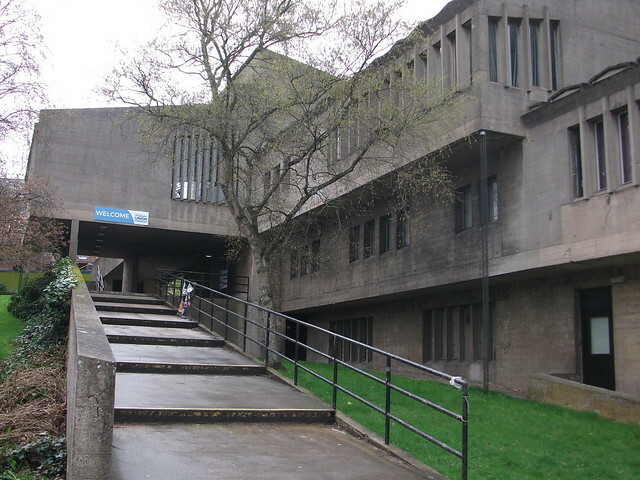 The building was completed in 1966. 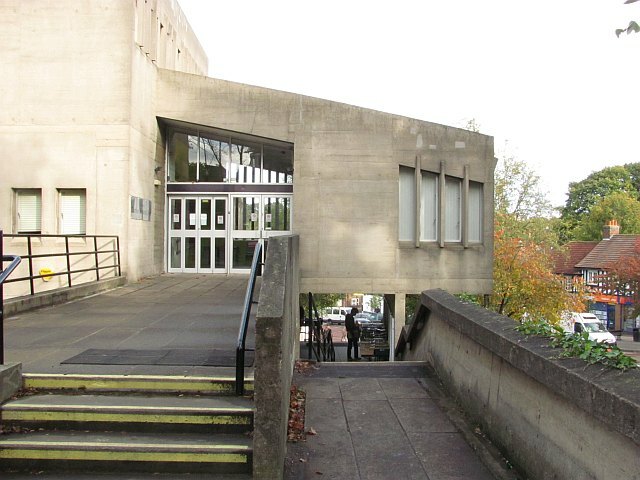 Its main staircase, which links the 5 levels of the building, runs in an entirely straight line, with the intention of creating the feeling of an 'interior street'. 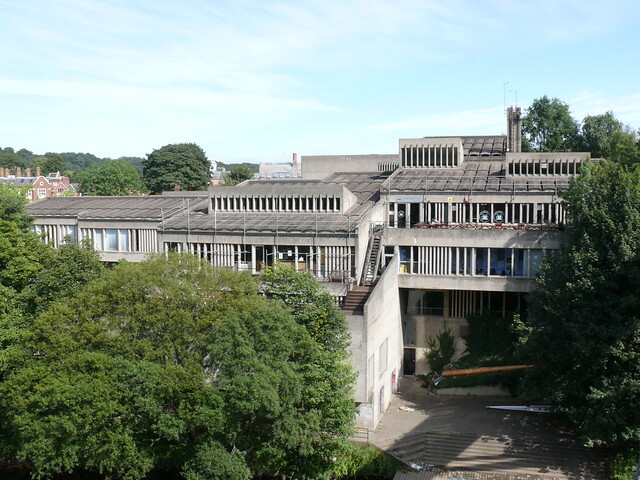 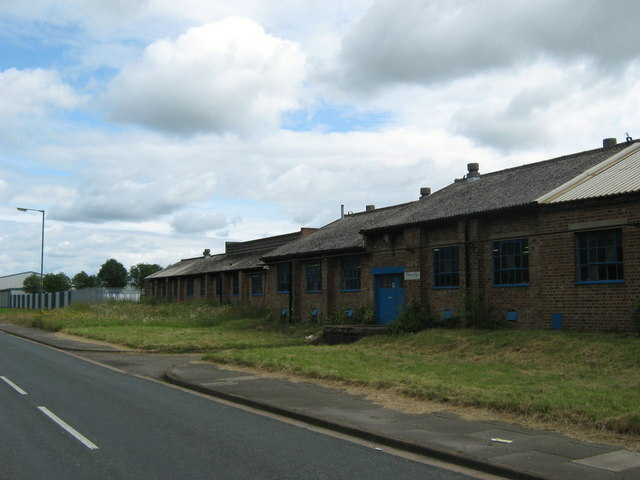 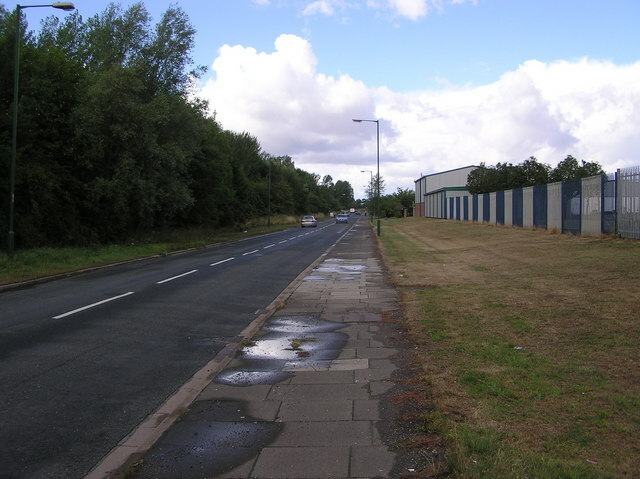 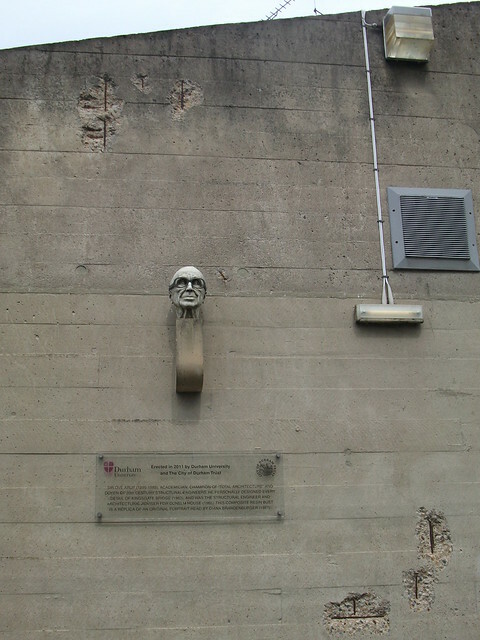 In 2016 Durham University made a successful application for a Certificate of Immunity from listing (listed buildings having legal protection), with a view to potentially redeveloping the site. 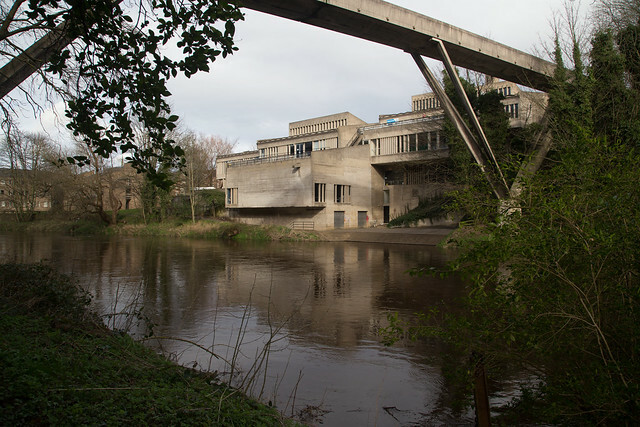 - Guardian 12 February 2017, article by Rowan Moore. 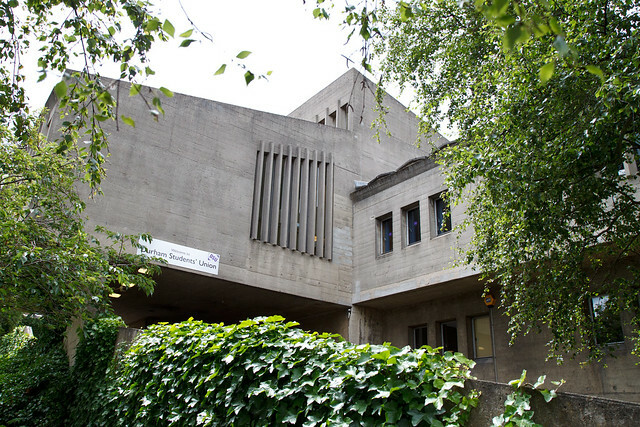 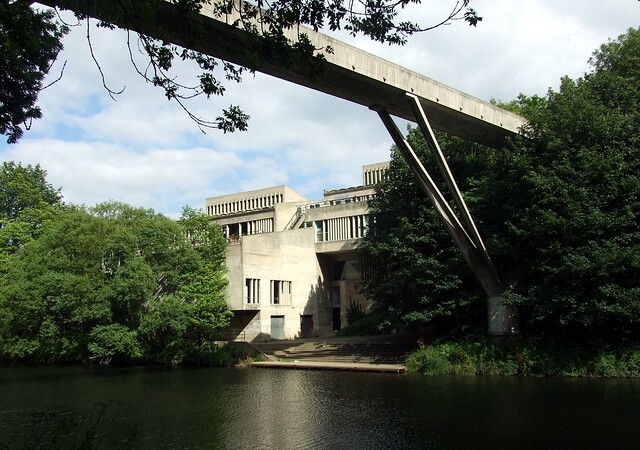 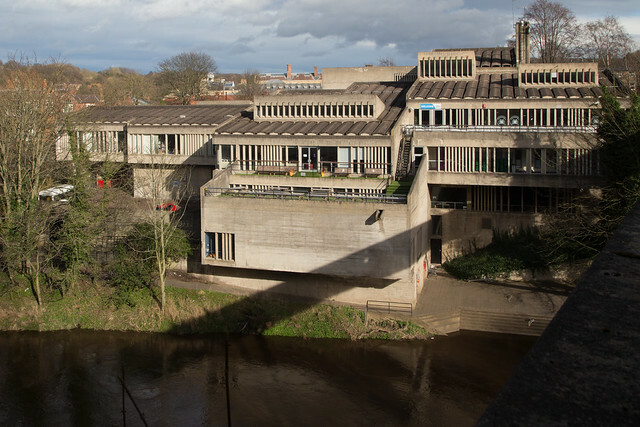 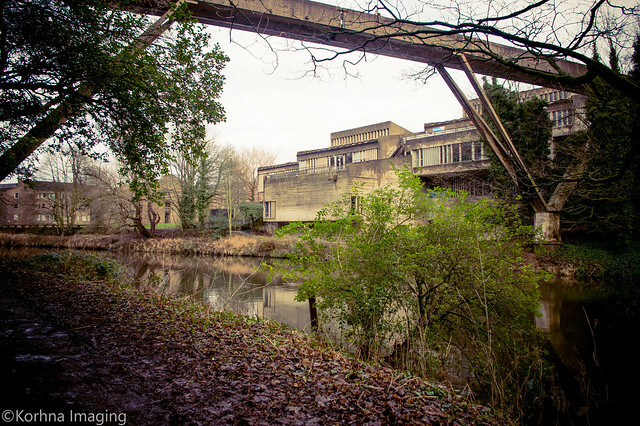 "Durham’s student union building, once graced by Thelonious Monk, is a brutalist gem in need of renovation, not demolition...."